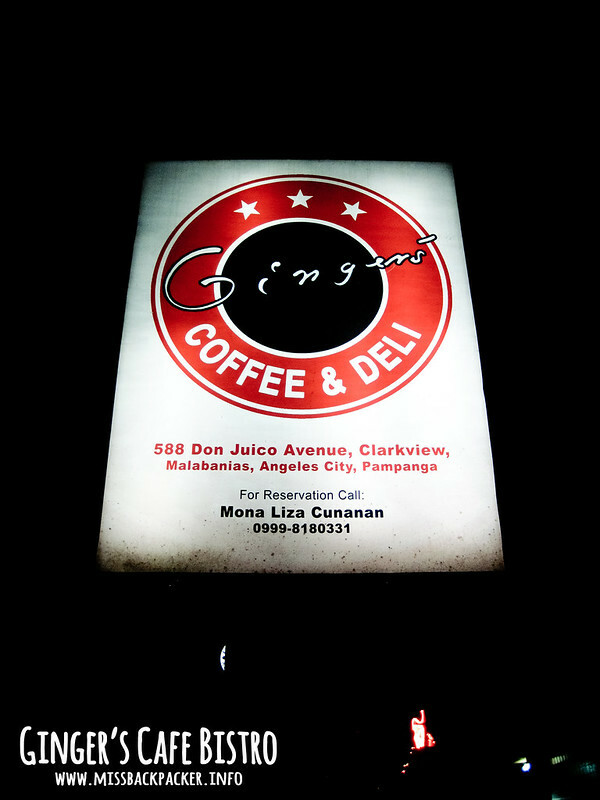 Ginger's Cafe Bistro | Where Have You Been Lately? WARNING: I am not a food blogger but I admit I love to eat so please bear with this amateur post. What comes to your mind when you hear the word ginger? Me, I can only think of salabat or hot ginger tea, you know, the one you need to drink when you have sore throat. It was just recently that I’ve learned that ginger’s not only meant to be made as tea but it’s can also be a vital ingredient of several cuisines. And Ginger’s Cafe Bistro is a very promising new café where all dishes are served with ginger. 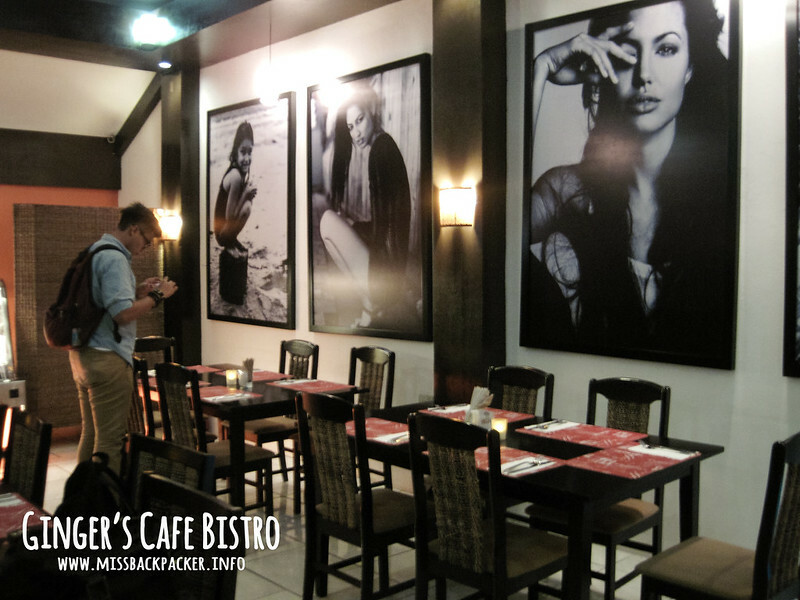 Located in the very heart of Clark in Angeles City, Pampanga, Ginger’s Cafe Bistro was originally a French restaurant and was just transitioned into a more generic café now serving Western European cuisines to cater more food lovers. It also boasts of being the pioneer in serving Lemon Ginger Chicken in the city of Angeles. Why name the café after ginger then? Its very unique idea was actually inspired by the daughter, Ginger, of the owner Iren Dornier. Yes, you read it right. Iren Dornier is just an aviation tycoon here in the Philippines. Then the idea later grew into a deeper concept that ginger isn’t just a medicinal herb but also a very good spice to be included in everyone’s meal. 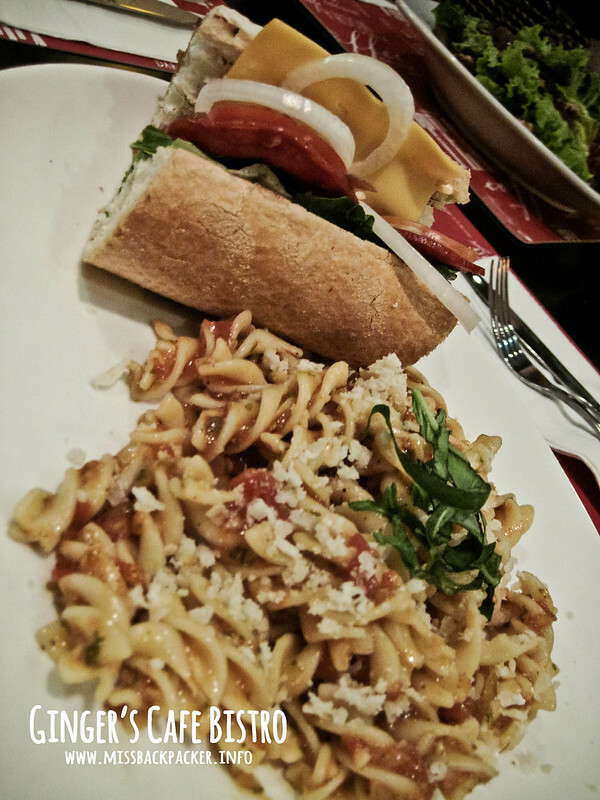 Included in the menu are different types of pasta, sandwich, soup, steaks, and a lot more. 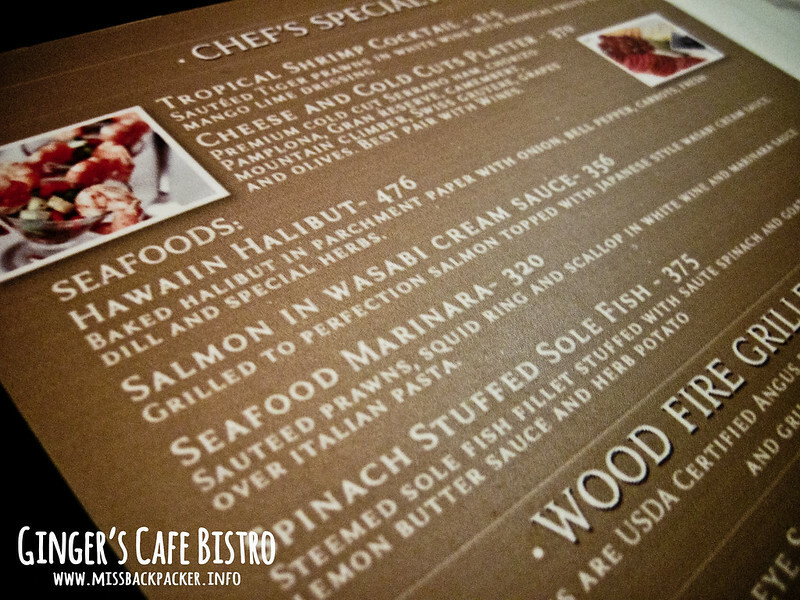 Below are some of the café’s specialties. 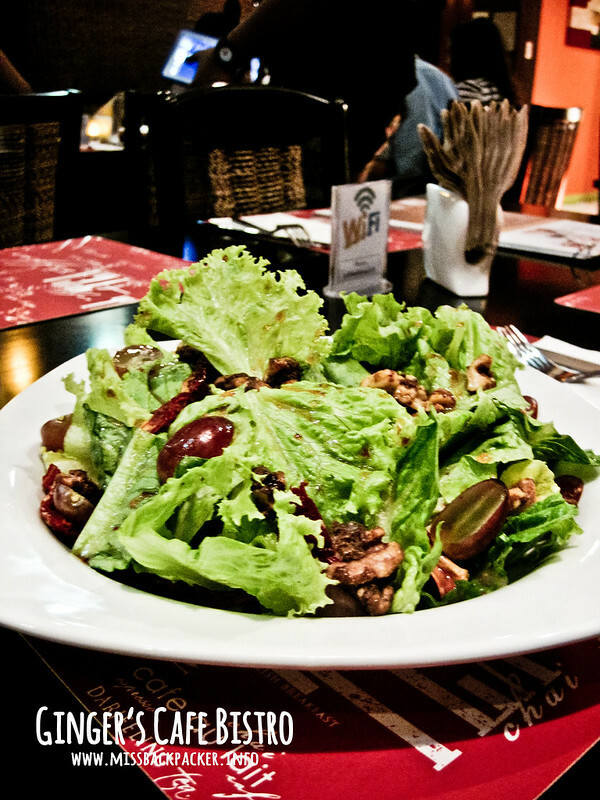 Ginger’s Garden Salad – Made up of crispy romaine lettuce, arugula, romaine curly endive, sun-dried tomato, candied walnuts, and grapes in strawberry ginger dressing. This is the killer salad. It’s Greek-inspired, definitely delightful, and really appetizing. 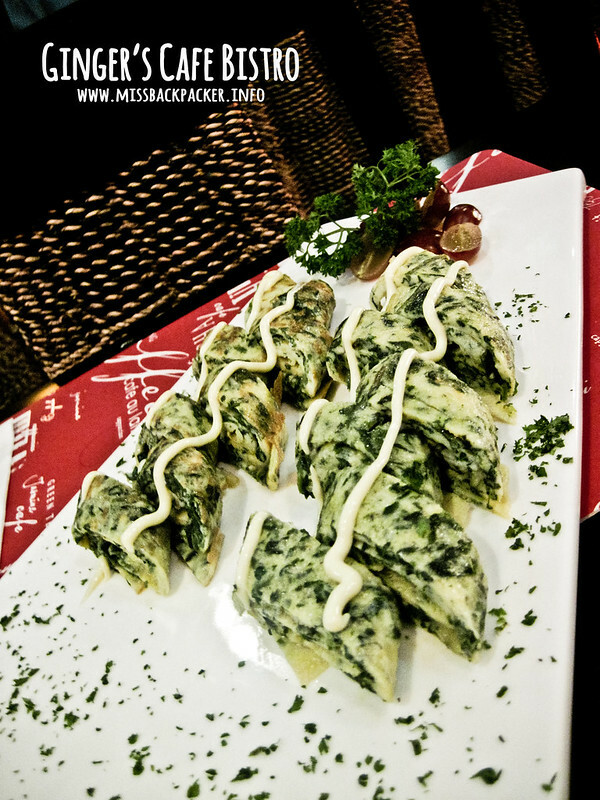 Spinach Omelet Sashimi – A healthy mixture of egg and spinach served in sashimi way. I couldn’t ask for any better way to cook this dish. It’s perfectly put together and highly pleasant to the taste. Fusilli Napolitana Pasta – Sauteed tomato, garlic, onion, chopped parsley with tomato sauce tossed in spiral pasta topped with basil leaves are what make this pasta. I’m not a pasta person but, heck, this version full of flavors and can make a non-pasta enthusiast like me love all types of pasta there are. European Ham – A sandwich with a mouthful of romaine lettuce, Spanish salami, Serrano ham, tomato, onion, and cheddar cheese. I think they can improve this sandwich a bit more if they also put a little more ham as its name suggests. Nevertheless, it’s still tasty. 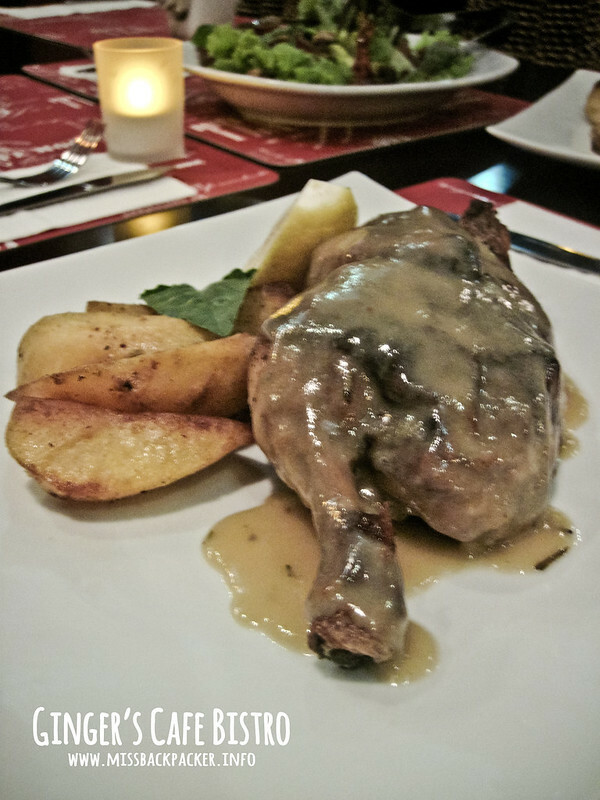 Lemon Ginger Chicken – Savory half chicken marinated in lemon and ginger with special herbs and spices, served in lemon butter gravy and baked potatoes. This is the main course, of course. And I must say that it’s living up to its promises of nothing but pure lemon ginger perfection. Every bite is pure joy. 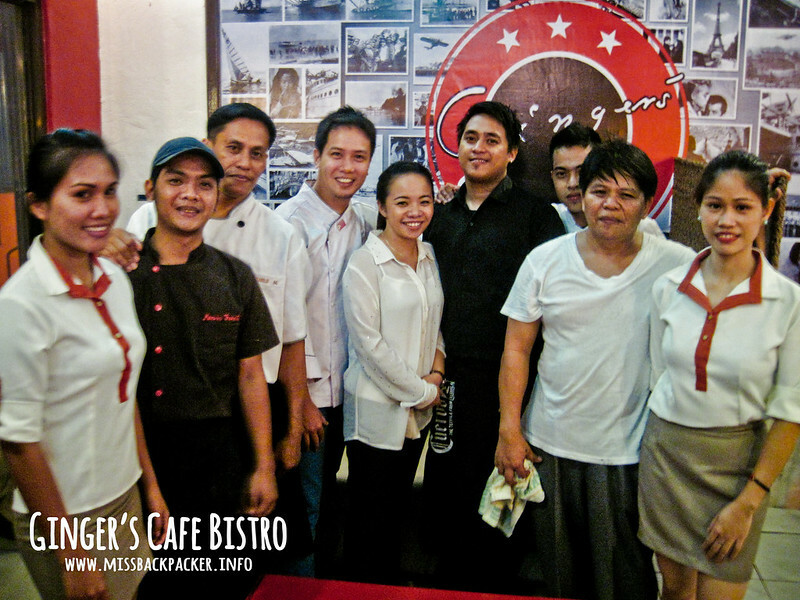 Aside from the piquant meals in Ginger’s Cafe Bistro, its staff and crew are very friendly and accommodating. Special thanks to Miss Mona, the manager, and Chef Red for organizing this food familiarization we recently had at the café. In case you’re within the vicinity of Clark and want to experience high-quality food at an affordable price, visit Ginger’s Cafe Bistro, which will soon open this October 26. They also offer discounts for group packages. For more photos, please visit my Flickr or Facebook page.